(Loveland, CO) – Only 2 weeks since it opened its doors to the public and Drätz Brewing Company already is the 2nd place winner of Gnarly Barley’s People’s Choice Award for 2018. Losing only by 2 votes from eventual winner Rally King Brewing of Fort Collins, the brewery provided a glimpse of its tasting room in its soft opening last July 20 followed by a Grand Opening Weekend Celebration on July 27 & 28. A week later, it joined 20+ breweries at the Gnarly Barley Brew Fest at The Ranch, Larimer County’s Events Complex in Loveland, CO in August 4. Specializing in American, German and Belgian style ales and lager, it’s tasting room will have 8 regular craft beers on tap as well as limited edition experimental specialty and seasonal beers. One of its regular beers is the leading crowd favorite KD Kölsch, a mild German Ale with a light body, pale color and a slightly assertive hop bitterness. Fermented in ale yeast then finished with lagering, its unique style results in a light easy drinking pale that finishes crisp and clean. It’s limited edition experimental beer was introduced just a week ago with the RAW Ale Series. Raw beer, gruit as it was called in the middle ages, is brewed without boiling the wort. Drätz Brewing’s RAW Ale series is a variation of the ancient brewing method of creating gruit, increasing the overall body and creating a significantly hazy beer. RAW Pineapple & Rosemary Saison is the first of this limited edition series. With the blend of fresh rosemary and pineapple, it creates a crisp and refreshing drink that accentuates the sweet smell of the farm after a long day of work. 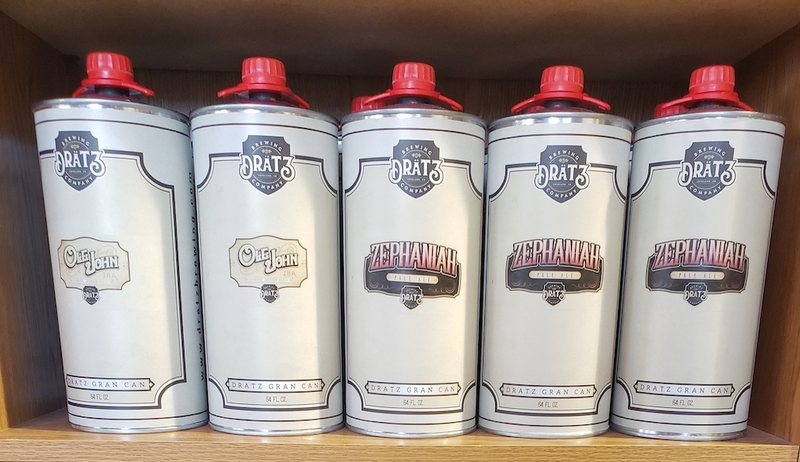 Along with its beers, Drätz Brewing Company also launched the Drätz Gran Can, it is a 64 oz can that is resealable, recyclable, chills faster and keeps beer cold longer. The brewery is inspired by the family history of it’s Founder and CEO Kerry Drake, thus several beers are named after family members starting from Josias Drätz. Born in 1656 in Amsterdam, Holland, (a region and former province on the western coast of the Netherlands) Josias Drätz had immigrated to the colony of New Amsterdam which we now know of Manhattan, New York. Shortly after arriving in New Amsterdam, England had won the Anglo Dutch war and started moving English settlers into the Dutch colony. To avoid harassment from the English moving into the settlement, Josias started to search for another name to sound less Dutch. The Drätz name was eventually dropped and changed to Drake (which the family goes by today). Depot, off the busy Highway 34 that runs through the heart of Loveland. https://dratzbrewing.com/ or like and follow them on Facebook, Instagram and Twitter.